Krilurk. Faces of the Festival 2017. Steven Meckler photo. I was born in Thailand. My mom and dad migrated from China to Thailand. I grew up learning to be a pharmacist. 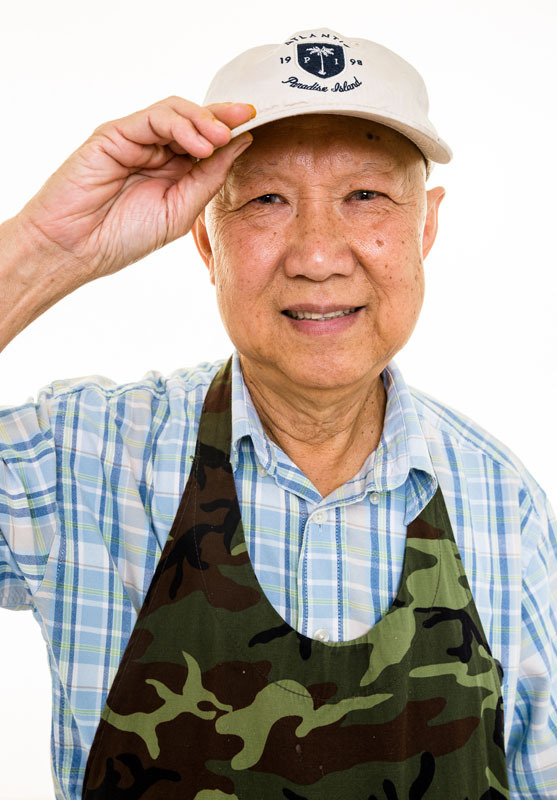 During the Vietnam War, I applied to come to the United States. It took me about four years to get admitted. I came to New York for a while and went back to school at St. Louis College of Pharmacy to renew my license. After that I worked for a hospital for six or seven years and as a retail pharmacist for about 24 years. I was a pharmacist for almost 30 years. I retired four years ago in 2012, when I turned 70. I moved to Tucson to be close to my daughter and son who practice medicine at Tucson Medical Center. I have free time to help in the community like at Tucson Meet Yourself. I volunteer at the festival to support the Buddhist temple.